The hackers group Lulz Security is reported to have released about 62,000 email addresses and passwords associated to them. The group did not however reveal the source of the information but has said that the information had some top names of the CIA associated with it. 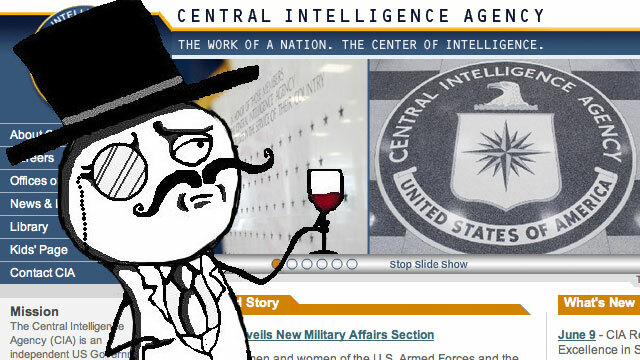 CIA yesterday already has had a DDOS attack along with other gaming servers. The group even brough down cia.gov under the flood of traffic. The group also embarked on a old-school denial of service attack which flooded not just Web servers but phone switchboards aswell. The were able to setup phone numbers and redirected it to various targets for their choosing including the FBI office in Detroit. CIA and FBI are already working on trying to isolate and track members of the Lulz’s team. Rail Services at Risk of Cyber Attacks! Zappos Falls Victim to Cyber Attack! Previous Facebook sees Lower Traffic as it reaches 700 Million Users! Next Awesome – Move Applications Between PC and Phone by taking a Picture!